A range of fill and flush valves for ceramic cisterns. Filling valve type 380 for ceramic cistern. Filling valve type 260 for ceramic cistern, half-moon button. Filling valve type 360 for ceramic cistern, water supply connection at bottom. 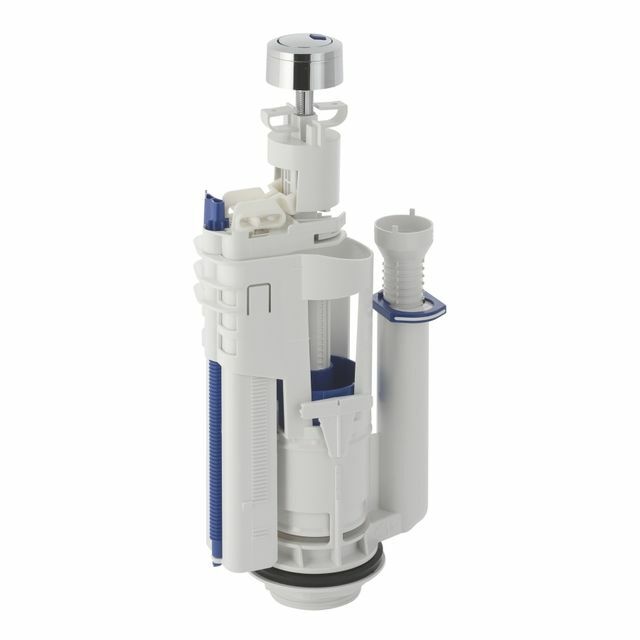 Flush valve type 280 for ceramic cistern, with blue square dual flush.